It’s the 10th of November already which means the release of the next ‘Seasons Of’ block which just happens to be the second last one! Another Aussie celebration which happened here in Australia last week but which has become a worldwide phonomenon……. referred to as “The Race that Stops a Nation”, our Melbourne Cup is a horse race that is the highlight of the Aussie horse racing calendar. Held on the first Tuesday in November every year, it is even a public holiday in some states! Horses, owners and trainers travel from all around the world to race in this two minute event, and this year, our very first Australian woman trainer won…..and what a prize….collecting $6 million!…….I could buy one heck of a stash with that, couldn’t you??? So this month’s block is to celebrate a truly Aussie tradition…..the Melbourne Cup (not that I know much about horse racing….although I do know the front from the back!!!!! Just go to the ‘Seasons Of’ button on my sidebar where you will find the links to download the pattern…..all the month’s patterns are available free to download until the end of the year, so if you haven’t collected them yet, now’s your chance! 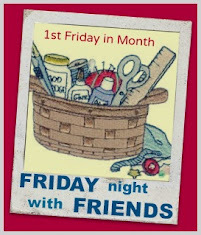 Have a great week…..I’m off to prepare some stitching for our girls sewing day tomorrow….woohoo….can’t wait! That's wonderful! I love horse racing - I only know a little about it, but I love to watch them run. It's a pretty good paycheck for two minutes! Of course, there were all those days, weeks, months of training that came before that two minutes! I'm very close to horse country here, so one of these days, I will try to get tickets for the Kentucky Derby - probably America's most sought after horse win. Lol! Just what I was going to say Peg!! ... Another beauty there!!! Thanks for sharing these! !